According to Ubisoft, the long dormant Rainbow 6: Patriots is still in development. You might recall Rainbow 6: Patriots from its announcement back in 2011. Billed back then as a gaming experience possessing as much ethical storytelling as tactical combat, it gained the interest of many gamers with its interesting premise. Rather than pitting players against the usual motley of foreign baddies many action games rely on, the titular team was going to face off against the "True Patriots," a network of American militia men and terrorists bent on returning the country to its supposed roots. As time went on the game seemed to fall into a development limbo that many assumed it would never rise out of. GameStop even went so far as to pull the title from its database of upcoming games. 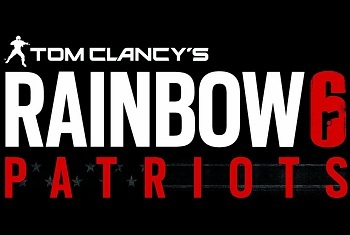 Now, however, almost two years after its initial reveal, Ubisoft has confirmed that Patriots is still in development and will remain so until it's "perfect." "We want people who play the next Rainbow 6 to be astonished, to be very pleased with what they see," said Alain Corre, executive director at Ubisoft. "You've seen that the improvement in games over the last few years has been exponential. We have to reflect that improvement in quality. That's what we're doing on all our games." According to Corre, however, how long game's current polishing process will last could vary. "Creation is not an exact science," he said. "When we're happy with what we see, when we think we can bring something new to gamers, then we say, 'Okay, this is a good time to release it.'" This isn't the first time Ubisoft has confirmed that Patriots still existed. Back in June the publisher reported to press that the new game could possibly be moving to next-gen consoles. Even then, however, the language being used was a tad wishy-washy, leaving some to wonder if Ubisoft was being genuine. While this latest update is still all talk, it's at least talk that says something relatively firm. That still doesn't guarantee anything, of course, but it's arguably better than nothing.